You should always make sure your car is working well before you drive it. If you stick to the manufacturer’s recommended maintenance schedule, you should have no problems. You should periodically check to make sure that your oil levels are good, the air pressure in your tires is high enough, and that you have things like windshield wiper fluid and working windshield wipers. Though this may seem like common sense, it is important in preventing accidents. Traffic laws are in place for a reason. These laws were created to protect the safety of motor vehicle drivers and passengers. You should always obey speed limits and traffic signals and follow the rules of the road — but do not assume that everyone else is doing the same. Staying focused on the road is incredibly important. With the rise in portable technology such as cell phones and tablets, car accidents resulting from driver distractions have also increased. Do not let your cell phone or other devices distract you while you are in the car. If you need to, put your phone in your glove compartment or in the back seat while you are driving to avoid the temptation to look at it, and try to eliminate other distractions as well, such as eating or drinking, adjusting the radio, or talking to passengers. Taking your attention off the road for even one second can lead to disaster. 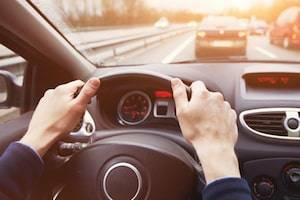 Because of the sudden and unpredictable nature of car accidents, it is difficult to prevent them, but following the steps above can help you make sure your odds of getting into an accident are lowered. However, even if you do everything correctly, you may still be unable to avoid an accident. If you or a loved one has suffered an injury in a collision, you should immediately get in touch with a Wheaton, IL car accident lawyer. At Walsh, Knippen & Cetina, Chartered, we can help you get fair compensation for your injuries. Call our office today at 630-462-1980 to schedule a free consultation.